For the data-obsessed and the data curious, the California Department of Education announced the release Monday of CA Schools, its first ever mobile phone app. The app is free, compatible with iOS and Android systems, easy to use and packed with information from driving directions to the 10,000 schools in the state to achievement metrics on the California School Dashboard Report. “Home buyers can check out schools in their prospective neighborhoods,” said Tom Torlakson, state superintendent of public instruction, of a new app, CA Schools. The app opens in a nifty map display. Users select a radius — 2 miles, say — and search schools in that area. Display results can be general — all public schools — or filtered to show charter schools only or magnet schools only. Another filter allows users to see private schools only. Once a user clicks on the red pinpoint that marks a school, it’s just a question of how much a user wants to know. Available for perusal are the principal’s phone number and email address, a link to driving directions, evaluations on the California School Dashboard, financial information displayed in a Local Control Funding Formula Snapshot and loads more. 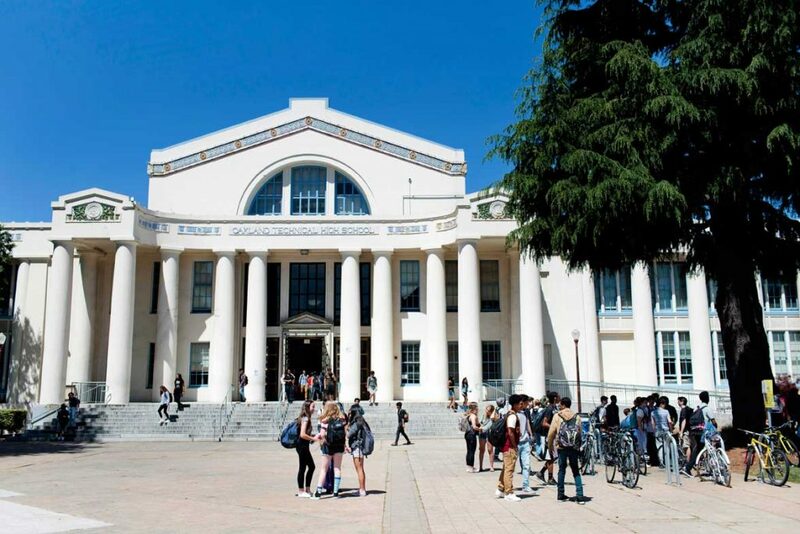 The CA Schools app draws data from online databases at the California Department of Education, including the California School Directory, which lists contact phone numbers, addresses and email addresses, and DataQuest, which generates reports on enrollment demographics and more. Want physical fitness test scores by grade level? Done. The percentage of English learners at a school sorted by language and grade level in 2016-17? The information is there.